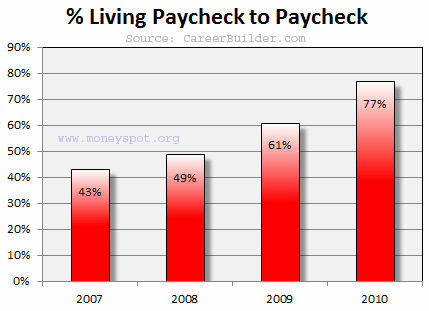 While personal health remains the most important aspect of life, personal finances are not far behind. Sure, it is definitely not healthy or cool to focus too much on money, but the fact is that money is kinda like oxygen – we need it to live. Unfortunately, the personal finances of the average citizen of the developed world today is in a state of total disarray. The following graph from the USA tells this sad story best. In the 25 years running up to the 2008 housing crisis, Americans borrowed and spent like crazy. 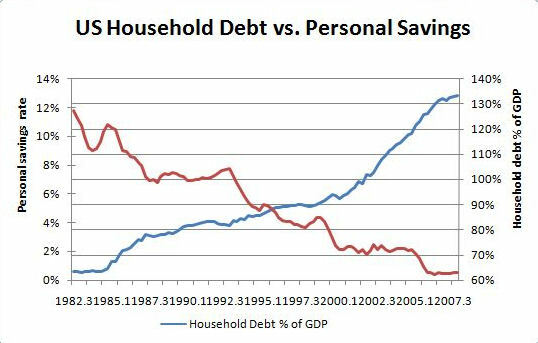 Savings rates declined from a healthy 12% to virtually 0% and personal debt (as a percentage of GDP) more than doubled. 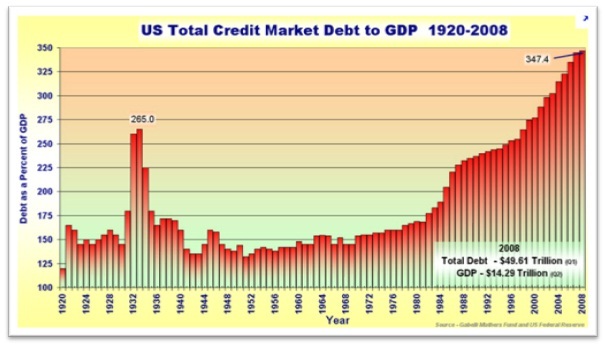 As this consumption binge was thundering along, America as a whole begun racking up massive debt (above) and running huge trade deficits (below), essentially using its reputation to borrow billions (even trillions) of dollars so that it could keep on facilitating the reckless consumption of its citizens. 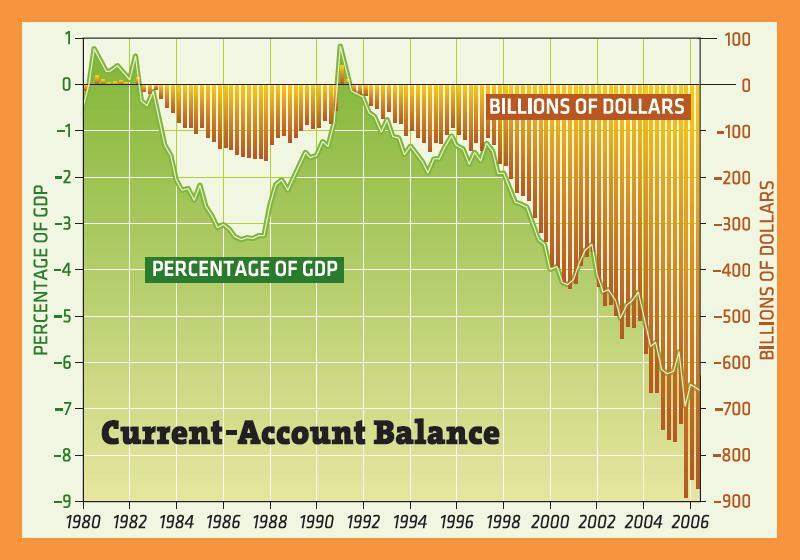 In the end, America (and the rest of the developed world) ended up with massive debt and virtually zero savings which put them in a situation of zero financial resilience. Financial resilience is a very important concept that you will hear about a lot more over the coming weeks and is a simple measure of how resilient an individual consumer is to financial shocks such as a job loss, commodity price spikes or rising interest rates. In fact, this concept is so important that I wrote a special page dedicated to understanding how it impacts the stability of our economy. But global economic stability is not the only thing that is heavily impacted by the manner in which individuals handle their personal finances. Just as was the case for personal health, the way in which we handle our personal finances also has a large impact on our environment and our society. For example, our environment is impacted negatively by completely out-of-control consumerism (such as the run-up to the 2008 crisis) and positively impacted by investments in the green economy. So, how are we doing in this regard? Well, the 2008 bubble of unchecked greed has left the USA with close to 20 million empty homes, representing a malinvestment of about $4 trillion – an amount 4 times greater than the total global investment in renewable energy to date. Regarding our society, people seem completely oblivious to the fact that the average American consumes about 20 times more value than the average Sub-Saharan African (simply because he/she was lucky enough to be born in America and not in Sub-Saharan Africa). Our financial behavior certainly reflects this ignorance and the vast majority of people simply have no idea of how they can invest in the futures of the poor. It is therefore clear that we have a lot of work to do regarding our personal finances. We will start the journey in two days’ time. Step 2: List all debt SMALLEST to LARGEST, and Pay off THE SMALLEST FIRST. Then, you snowball the payment (once paid off) into the next biggest, creating a SNOWBALL EFFECT. Step 3: Save 3-6 months of monthly expenses and at the same time, lower them! Cut car insurance to $25/month, cut gas to less than $50/month, get rid of cable TV. Step 5: Save for KIDS’ college savings (at 12%, accounting for inflation rate). Once again, really appreciate your efforts!